The Global Research Alliance (GRA) is very pleased to welcome our 51st Member country, Namibia. Namibia is the eighth African country to join the Alliance. Namibia recognises that membership in the Alliance can help the country achieve its climate change objectives and its Nationally Determined Contributions (NDC) targets, enshrined in the Paris Agreement. The 51 member countries now participating in the activities of the Global Research Alliance are Argentina, Australia, Belgium, Bolivia, Brazil, Canada, Chile, China, Colombia, Costa Rica, Democratic Republic of Congo, Denmark, Dominican Republic, Ecuador, Egypt, Finland, France, Germany, Ghana, Honduras, Indonesia, Ireland, Italy, Japan, Lithuania, Malaysia, Mexico, Namibia, Netherlands, New Zealand, Nicaragua, Norway, Panama, Paraguay, Peru, Philippines, Poland, Senegal, South Africa, South Korea, Spain, Sri Lanka, Sweden, Switzerland, Thailand, Tunisia, United Kingdom, United States of America, Uruguay, Vietnam, Zimbabwe. The Global Research Alliance has reached a milestone membership of 50 volunteer member countries from around the world. Our 50th Member, the Democratic Republic of the Congo, has joined us as the result of discussions at the Japan Pavilion side event at the COP23 Event in Bonn last year. We would like to thank Japan for hosting this event. The Democratic Republic of the Congo is our seventh African country to have joined the membership of the GRA, and we are looking forward to working together to help grow more food while reducing agricultural greenhouse gas emissions. The Global Research Alliance has updated our website to include a list of all our current Affiliates. 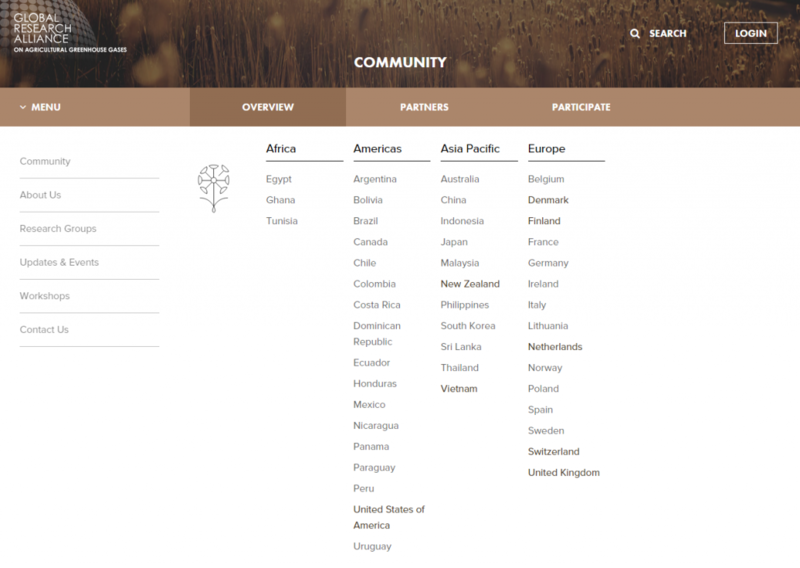 The page can be viewed alongside our Partners on our Community page, and shows the organisations represented by our 49 Member countries and by invited experts who participate in our Networks. The Global Research Alliance is very pleased to welcome our newest Member country, Senegal. 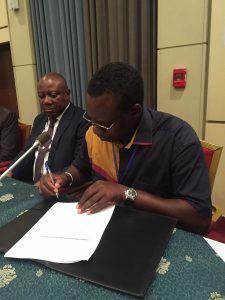 Senegal became a Member at the 10th Biennial Consultative Meeting of the National Experts Committee of the Africa Rice Centre held in Banjul, the Gambia in September 2017. Senegal is our third African Member, and we are looking forward to working together in the future. The Global Research Alliance is delighted to announce our newest Member country, Zimbabwe. Zimbabwe is the fifth African country to join the Alliance. Zimbabwe recognises that membership in the Alliance can help the country realise its food security issues and its Nationally Determined Contributions (NDC) targets, enshrined in the Paris Agreement. The 48 member countries now participating in the activities of the Global Research Alliance are Argentina, Australia, Belgium, Bolivia, Brazil, Canada, Chile, China, Colombia, Costa Rica, Denmark, Dominican Republic, Ecuador, Egypt, Finland, France, Germany, Ghana, Honduras, Indonesia, Italy, Ireland, Japan, Lithuania, Malaysia, Mexico, Nicaragua, the Netherlands, New Zealand, Norway, Panama, Paraguay, Peru, the Philippines, Poland, Republic of Korea, South Africa, Spain, Sri Lanka, Sweden, Switzerland, Thailand, the United Kingdom, Tunisia, the United States, Uruguay, Vietnam and Zimbabwe. The Global Research Alliance is delighted to welcome our 47th Member Country, South Africa. South Africa has already been involved in stocktakes and regional workshops run by the Livestock Research Group, and newer areas of interest include topics such as GHG Inventories. We look forward to continuing to work together to grow more food without growing more greenhouse gases. We are pleased to announce that more Member Countries of the GRA have their own country pages. 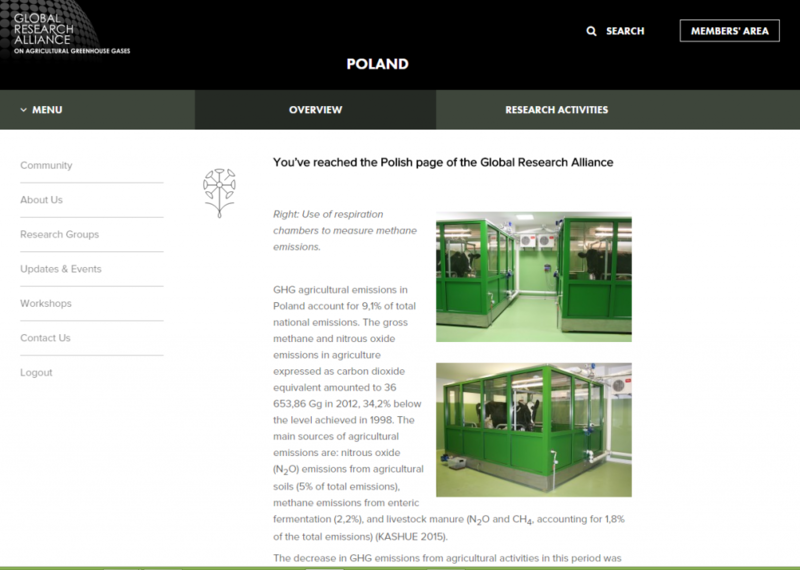 Have a look at the links at http://globalresearchalliance.org/community/ to learn about agricultural GHG mitigation and Global Research Alliance involvement for Denmark, Finland, Switzerland and Vietnam. More country pages are also to come!